120 countries who permit or require IFRS. Another 90 countries, including India, are in the process of adopting IFRS. It’s evident that IFRS is not just important but mandatory, if you want to work in Accounting. It also open an opportunity to work with MNCs, global accounting KPOs or migrate abroad. IFRS Course offered by IMS Proschool in association with NSE Academy, has the well-researched and industry relevant curriculum. With industry experts as trainers, the course enables you to make the most of this opportunity. IMS Proschool IFRS training is currently available in Mumbai, Navi Mumbai, Thane, Pune, Delhi, Gurgaon, Bangalore, Hyderabad, Chennai & Kochi. Students outside these cities can undertake the program online. International Financial Reporting Standards (IFRS) are accounting standards and principles set by the International Accounting Standard Board (IASB) and is becoming the global standard for the preparation of financial statements. Most countries are converging their standards towards IFRS or adopting IFRS as they are, to enable uniform reporting. India, as a step closer to convergence with IFRS, has adopted Ind-AS. The advantage of establishing global accounting standards is that a single format would be used for financial statements across all companies internationally. This would make it easier for companies to compete abroad, raise capital and to win global contracts by providing consistent and comparable financial details. Various IFRS profiles are being offered in several sectors of the industry that include ITES, software, pharmaceutical, auto spare part, professional advisory companies, auditing firms, banking industry, Insurance industry, KPOs, etc. Practical knowledge of these universal standards will open doors across the globe as more than 100 countries have given a green signal in their accounting boundaries. Stay updated and continue to grow. Young CAs / IPCC candidates are already enrolling in large numbers. Non Accounting professional like MBAs, CSs, CFAs, CFPs can add depth to their understanding of accounting practices and differentiate themselves. Improve depth of your accounting knowledge and differentiate yourselves from lakhs of students graduating each year with accounting degrees. After receiving NSE Academy certification, Proschool provides additional certification of Ind AS via online training. Approximately 120 nations and reporting jurisdictions permit or require IFRS for domestic listed companies, although approximately 90 countries have fully conformed with IFRS as promulgated by the IASB and include a statement acknowledging such conformity in audit reports. Do chances of being employed by an MNC increase by completing IFRS? 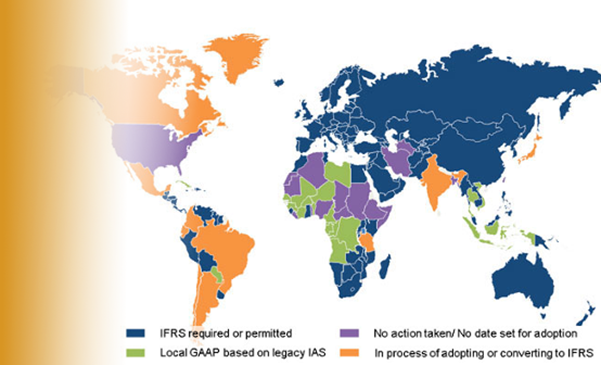 Apart from India, 100+ countries have received permission to implement IFRS standards. Therefore, by being IFRS qualified, you are eligible to apply and work in these 100+ countries. The candidate would definitely have an edge over a non-IFRS candidate while being placed. How is Proschool program different from that of other training providers? After completion of training & exam, candidates will get Certification from NSE. This certificate is well-recognized in the corporate world and hence it communicates your knowledge of IFRS to employers quite clearly. 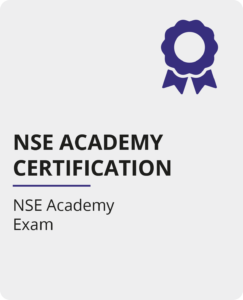 How does NSE Academy certificate add value to a candidate’s profile? IMS Proschool is amongst the first officially NSE-India affiliated organisations for IFRS course. Joint certification from NSE-Academy, IMS Proschool and NSDC is unparalleled in the industry. It would surely give an edge to the candidate’s profile to have an NSE-Academy certification. If I fail NSE exam, how I can retake it? Who is eligible to take up Dip IFRS examination? Chartered Accountants; Commerce graduates with 2 years of experience in the Finance and Accounts department and Graduates from any other field with 3 years of experience in the Finance and Accounts department are eligible. Is it necessary to appear for Cert and Dip IFRS after appearing for NSE-Academy IFRS examination? No, it is not mandatory to appear for Cert and Dip IFRS after appearing for NSE-Academy IFRS examination. However, it would add value to the candidate’s profile. 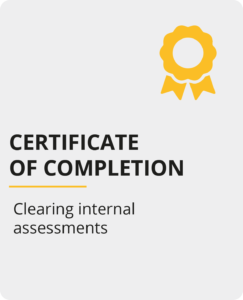 Also, the preparation and classroom training necessary for clearing Cert/Dip IFRS is already provided to the candidate. Is it mandatory to appear for Cert IFRS and afterwards attempt Dip IFRS? Can a candidate not take Dip IFRS examination directly? It is not mandatory to take up Cert IFRS before Dip IFRS. The objective of both the exams is different. Cert IFRS is an objective type question paper while Dip IFRS is a case study type paper and more detailed. For Careers in Financial Reporting, Audit, International Taxation etc.